Have you every heard of the 100 yen shop? Yup, this is one of the Japanese famous shop that people would love to shop in. They basically provide a wide range of products which ranges from kitchen utensils, stationeries, gardening, basic daily products and many more. You just have to name it and you might find it there. A place where everyone could shop in. TOKUYA was previously known as the 100 yen shop. It might sounds familiar to you as it has been there for quite a number of years. It was previously located right next door from Plaza Mont Kiara. It is known to be famous because of the reasonable pricing that were price as low as RM5.80. They price of the items depends on the product and it’s quality. You can find both normal and premium quality products at TOKUYA. You can see the shop arranges product according to its genre. For example, the items that are made by wood would all be place at a section of rack. It can be easily observe and view as customers can find their items easily as well. Japanese kitchen ware can be found near the entrance. It’s available in both plastic and ceramic products can be found placing side by side of each rack. Kitchen utensil can also be find at the next section of the shops. They have many cute utensils that are so adorable that you might not bare to use it even after buying. It’s a good way to do a collection as well. Next, there are many cleaning tools for toilet as well. It would be simple and easy to get one for your bathroom and replace them anytime when it’s warn out because of their reasonable pricing. One of women favourite section would definitely be beauty section. They have everything you need from eyeshadow, mascara, brushes, eyelashes and many more. Checking out their blusher as it looks really elegant with a flower shape deco. Another highlight in the shop would definitely be boxes. I find many people would get at least one box of this multi size box that are available for customers to pick from. Really spacious and wouldn’t have to afraid that it would be really pack and squishy during peak hours. Thank you Jonathan for the invitation. It was really a day well spend at TOKUYA. What more could a girl ask besides shopping? Address: LG1-06 & 07, Arcoris Plaza Mont’ Kiara, Jalan Kiara, Kuala Lumpur, Malaysia. Are you someone who loves to travel and so happen your next bucket list is in Malaysia? 🇲🇾 You can also be a resident who lives in another state but also traveling to Kuala Lumpur for a short vacation. Looking for a place to stay and explore around Kuala Lumpurs famous area? Somewhere which is affordable yet in the heart of Kuala Lumpur within walking distance to places like Pavilion, Sungai Wang, Starhill Gallery and many more. JACKPOT! You have come to the right place. THE KUALA LUMPUR JOURNAL HOTEL is the new boutique chic in town. They have a stylish design with a modern retro vibe along with the unique taste of Malaysian local flavours. As for one of the most important factor that travelers usually look into before booking a hotel is whether the hotel have free WiFi excess to their customers. Check ✔️So what more do they provide? As for adults or teenagers with friends, you can always enjoy a night out with them to experience the vibrant Changkat neighborhood with its restaurant, specialty bars and live music band. In addition, there is a monorail around the neighborhood which grants the hotel customers to a hassle free trip to get around KL. Same price as Deluxe King but this room are usually suitable for 3 person. Breakfast will be charge for the 3rd person. An upcoming party or celebration coming up but have no idea where to have it. An outdoor space that fills with greenery is available for booking. It includes open bar, dramatic lighting and mix of both comfy and communal seating lounge. They are currently having an exclusive deals for both their guests or a walk in customer. The deal is call Killer Fish Head Curry Promotion! Rice, Pickle Salad and Papadoms The promotion Killer Fish Head Curry Set comes with Fish Head Curry, Rice, PickleSalad and Papadoms like as shown on the pictures above. It cost only RM50 nett per set! It can serve up to 4-6 person. Some of my other favorites that would go along with this dishes are as follow. Caffeine lover or not? Arissto’s Italian Premium Coffee will get you craving for freshly brewed hot coffee every morning and may even change your perspective towards traditional coffee. When it comes to brewing coffee, most of us don’t have the time for the normal way where you have to do everything manually, like opening the satchets, stirring it until a strong scent of aroma fills the air. But to most of us, we won’t even have the time to prepare coffee that way, so Arissto has developed and designed a coffee machine specially for their signature coffee’s. For people with tight schedules, just a click of a button away from getting their hot and aromatic coffee. Arissto provides a certain flavour speciality crafted by Italian coffee masters. The high quality Arabica coffee beans were carefully sourced from the mountains at an altitude of 2000 meters high in Brazil 🇧🇷, Colombia 🇨🇴, Costa Rica 🇨🇷, Guatemala 🇬🇹, Togo 🇹🇬, Kenya 🇰🇪, Ethiopia 🇪🇹 and many other countries to come out with a variety of unique flavours that can only be found from Arissto. All of their Arissto coffee capsule can preserve the original coffee taste and aroma without any artificial additives added, this can be done by going through the coffee capsule technology. Love a cup of foamy or creamy coffee? Arissto got you covered with their low calorie milk capsule which can be easily made just by a click of a button. This will give you a brand new experience of tasting a cup of Italian coffee compare to a regular coffee. Worry about the price you have to pay? Worry no more as Arissto has introduced their Italian coffee at a price range that is 80% below the price of a normal cafe crafted coffee. You can now enjoy Arissto coffee as low as RM 2.30! Here are the pricing for few of their popular coffee capsule such as Espresso RM2.30, Long Black RM2.30, Cappuccino RM3.80 The price cut reform has promoted Italian Premium Coffee to a more affordable and popular era. A perfect balance of satisfying medium body and crisp acidity, light body with citrus-fruit note, it expresses a light rounded blend of exquisite fresh fruits. 100% composed of premium Colombia Supremo coffee beans. It is simple soothing. ARISSTO PEACE is a perfect drink especially for those who fancy coffee of the Americano or Colombian style. Blended from the finest beans from 5 continents, the richness of this high intensity roast provides a balanced taste with notes of bitterness. It is a well balanced coffee with medium acidity and body. This coffee has a sweet deep flavour with low bitterness level. It has a strong body with a robust taste like dark chocolate. Due to its strength and is less affected by milk, it is suited for coffee variations such as cafe latte or cappuccino. This blend of Central and South American Arabicas is a dark roast with revolutionary technology, 100% made in Italy, 100% natural without artificial flavorings which reveal distinguished aromatic profile. This full-bodied and balanced flavour with a touch of floral notes makes you feel like you’re enjoying the Italian moonlight. As a substitute of whole milk, the calories intake of milk capsule is 80% lower than whole milk. With our milk capsule, the calories intake for a single cup coffee is 5 times lower than any instant coffee. You can enjoy an extra cup of coffee without worrying about overweight. Arissto milk capsule is easy to use. It helps you to save storage space and prevent milk deterioration problems and give you an extraordinary Italian coffee experience. Arissto Coffee Charity Challenge is the first charitable challenge in Malaysia. Their target is to help 500 poor children to have a better life. Just a small act of kindness could help change a children life, so why not take up this challenge? In this challenge, Arissto will provide you with their Italian Premium Coffee to compete with your favourite brand coffee. You will be the judge for the day, it doesn’t matter what is your conclusion in the end, you will still be your own winner. As just by doing so, you can help the poor children (this will be explain in the next paragraph) and in the same time, find out which is truly your dream coffee. Your feedback could help Arissto as a useful reference to improve better in the future. You can do so by clicking on this link, Arissto Coffee Charity Challenge to sign up. You can pick your favourite coffee flavour as I listed the description above and pick a venue of the challenge. It can be anywhere, you name it and it will be there, your office, house, studios or anywhere you prefer. Like I mention above, it doesn’t matter what is the result by the end of the day, you will be helping the poor child as Arissto will donate to the poor child. So what are you waiting for? Get your family members and friends to join the challenge to save the poor children’s life and give them a better life. You can enjoy a FREE trial program just by clicking here to register. There is no hidden costs or charges. Arissto ambassador team will deliver up to your door step for you to have an experience of their high quality Italian Premium Coffee. Sometimes even your spectacles or sunglasses can reach its limits, maybe it doesn’t fits you anymore, or your power has changed in a certain way that has caused you to have trouble in seeing? Now, there comes another problem which is where should I get my glasses and most importantly how much will it cost? If you’re more to a budget committed shopper, an easygoing shopper or a luxurious shopper, Focus Point has got all these covered each in its own unique and different styles. Today is also the grand opening for Focus Point Concept Store at Melawati Mall. Focus Point Concept Store at Melawati Mall. Moving on, there are 3 various concepts that are available according to your own needs. Firstly is the Whoosh concept, they have 2 series which is Sunniesseries and Trendy series. They are focused on packages where the fixed prices starts from RM165, RM195, RM215 and RM265. As for the next one, is Focus Point. This particular concept is mainly towards normal brand spectacles. So if you’re looking something not too low end or too expensive then this is for you! Brands such as Guess, Jaguar, Rayban, Coach, Oakley and more. Me trying out Coach sunglasses, was deciding which one suits me most. Now for this last concept, it is one of the high end glasses you can’t find elsewhere! They have exclusive brands such as Mont Blanc, Marc Jacobs, Porsche Design, Gucci, Tom Ford and many more to please your eyes with. There is one more section which I find it really really adorable which is the kid’s zone where spectacles and sunglasses are specially designed for children. In addition, there is a promotion for PONEY frame and sunglasses for kids BUY 1 FREE 1 valid from 26th July to 31st August. Besides that, Focus Point is having a promotion that is only valid for Melawati Mall Focus Point Concept Store ONLY. This can grant you a RM1 frame voucher when you go to the counter and register which is available for selected spectacles. Hurry up now to Melawati Mall! As this promotion is valid from 26th July till 31st of August 2017 to grab your vouchers! Other than that, Focus Point does not only stops there. They are also having a 60% off for GUESS eyewear too! To top that up, there is RAYBAN RB3025 for RM399 ONLY (while stocks lasts), as well as 50% off for every second purchase of WHOOSH eyewear. Water is the most important element for the survival of human life. Its existence is not only to satisfy our thirst, but to keep us healthy by consuming alkaline water. Many people these days has been experiencing countless health problem such as headache, constipation and even skin allergy. Health scientist has recently discovered that the main causes of these problems are caused by high consumption of acidic physique. Natural water is beneficial for health as it contains alkaline minerals and trace elements. Do you know by drinking an adequate amount of natural alkaline water every day could help provide alkaline minerals that replenishes our body needs. In addition, it could help us reduce health problem that can be caused by acidic physique. Now, you might be thinking where can you find such precious water or even if you can find it, it must be costly. In fact, you’re wrong. Diamond provides Coral Alkaline Water in a reasonable price and contains all the benefits I have mentioned above. Some might even consider Diamond Coral Alkaline Water as their personal doctor. You might think it’s a little too exaggerating to say that, but its a simple yet strong solution to provide you and your family a healthier lifestyle. Coral calcium is also known as “Diamonds of Ocean“, it contains more than 70 beneficial mineral such as magnesium ions and natural calcium which can improve acidic physique and bring many health benefits. Coral calcium can be obtained from coral reef which is why its one of the best raw material for natural alkaline water production. Diamond believes that the water they produce must be as natural as possible. They selected a few special natural materials which include diatomite, maifan stone and natural coral calcium. 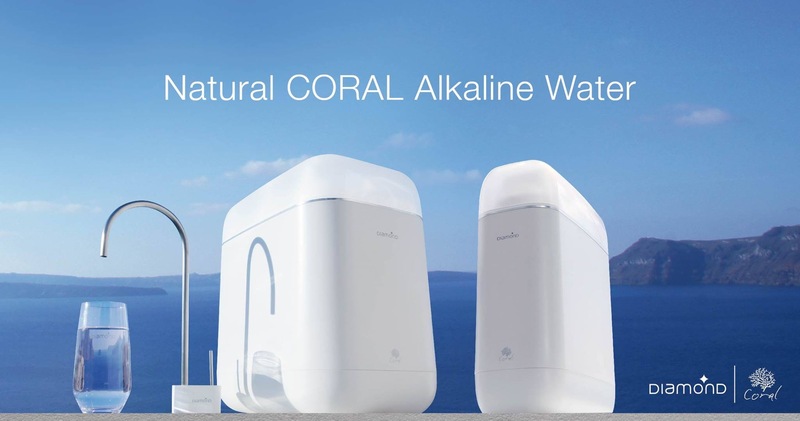 NCA Alkaline Water Technology were apply into 3 main processes: purification, mineralization, magnetization and its 18 treatments to produce Coral Alkaline Water with a pH of 7.5-8.5. Furthermore, the Coral Alkaline Water is in 1% of all the other water purifier machines that has passed nearly 200 safety and performance testing while successfully obtained the world most authoritative NSF/ANSI 42 & 53 certifications from USA. It can even purify and remove polluted water by 100 times, heavy metals such as lead, iron and aluminium can be remove whereas the system would preserves minerals that are beneficial to our human bodies. As for health enhancement, you might know that many people could take supplement to keep themselves healthy, but if you consider long term view, it can be quite costly. These is where Diamond comes in, its alkaline water can be simple and cost efficient. Diamond Coral Alkaline Water comes with a natural sweet pleasant taste. Kids who dislike drinking water would eventually drink them after tasting them. Do you know that Diamond provide 60 DAYS FREE TRIAL? You can join the 60 Day free trial of Coral Alkaline Water program. It allows you and your family to experience the benefits of Coral Alkaline Water. Its FREE OF CHARGE, you can make your purchase only after you are fully satisfy with it. So what are you waiting for? HURRY UP AND GET YOUR FREE TRIAL TODAY! Diamond Coral WaterBar is a new technology to make your life easier by providing you with a 3 seconds instant warm water dispenser. It can make your life simple, worry free and convenient. Do you know that repetitive reheating can affect our body health? 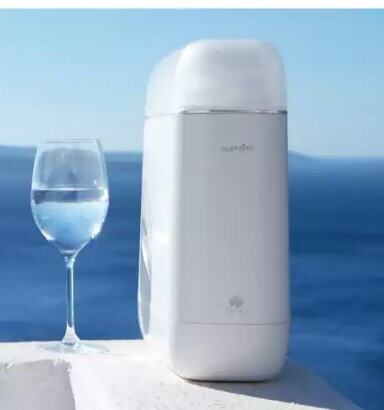 Many health specialists found out that our old traditional water dispenser that has the function of repetitive heating could accumulate harmful chemicals such as manganese and nitrite. As we are not used to cleaning the inside of a water dispenser, the harmful chemicals would slowly accumulate as time passes by. If you look at it in a long term effect, it might put your family health at risk. Here is an research article about it. 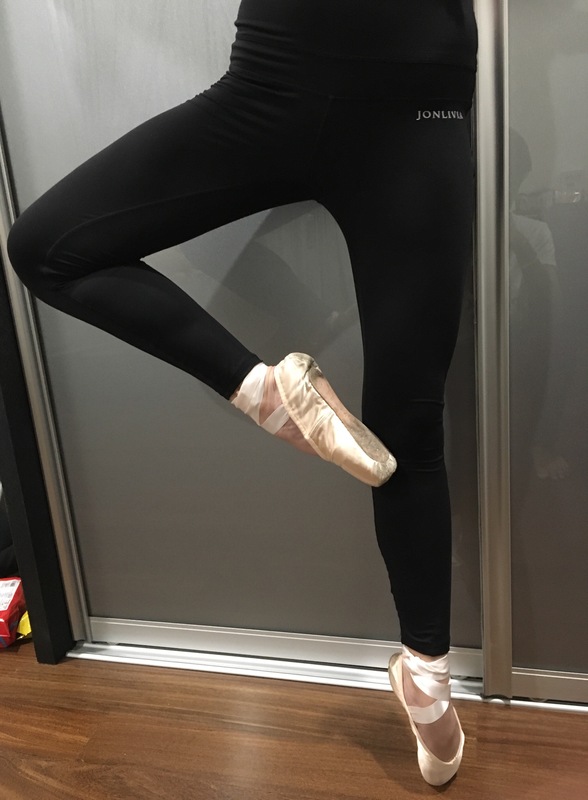 Diamond Coral WaterBar has utilized a new 3 seconds instant heat technology by replacing the traditional heat components in the dispenser. It can heat up your water in just 3 seconds because the boiling rate has increase up to 100 times. By doing so, you will not be required to reboil your water can be worry free about those harmful chemicals. Not only can it heat up your water in just 3 seconds, but it can also save up to 50% of your electricity. The classy look of Diamond Coral WaterBar was design by a famous European designer and it does not occupied a big space. It’s suitable in placing anywhere in your house including kitchen, study room, bedroom or even your living room. There’s an additional plus point for the WaterBar because it consist of 3 different water temperatures. There is hot, room temperature and warm water. (You must be thinking, oh I thought it would be cold water, something different and unique right?) The traditional water dispenser can only provide hot water and none of it has the function for warm water and did not meet the demand from parents, kids or elderly. Diamond Coral WaterBar can provide 50C water instantly. Just a click of a button is all you need. This could be handy for parents when they have to prepare warm water for their baby milk formula. What’s more? It will be safer for elderly with just a click of button instead in mixing cold and hot water just to get the perfect temperature of warm water. I have already gotten my Diamond Coral WaterBar, what about you? They even gave this complimentary spray for you. You just have to fill it with Diamond Coral Alkaline Water and you can use it to spray on your face as a facial mist. You don’t have to come out with extra cost for a hydrating face mist. So hurry up and get yours now! You can experience Diamond Coral WaterBar and enjoy the 3 seconds instant heat technology. You just have to register here. Their specialist would deliver up to your door step and you can enjoy up to 7 days of FREE experience with your new WaterBar. *All pictures are take from Diamond website or google.